Dr Simon Rowley is a renowned paediatrician who has committed almost all of his working life to the care and wellbeing of young people. In Mind That Child, Rowley charts his decades of medical experience, touching on an array of issues, such as the rise of neurological disorders including autism and ADHD, to the high-stakes management of pre-term babies, and the serious impacts of drugs, alcohol and technology on developing minds. Real-life cases and practical advice are interwoven throughout a candid, compassionate narrative. What's revealed is a tender and profound portrait of a fearless medical professional at the very centre of what matters - a man who always adopts a humane, holistic view and who writes openly about the personal toll of a career in medicine. Mind That Child is a statement on what it means to be entrusted with the most precious of responsibilities - a young human life. 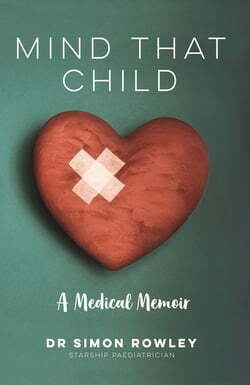 A must-read for any parent and a wonderful insight into the high-pressure medical world.